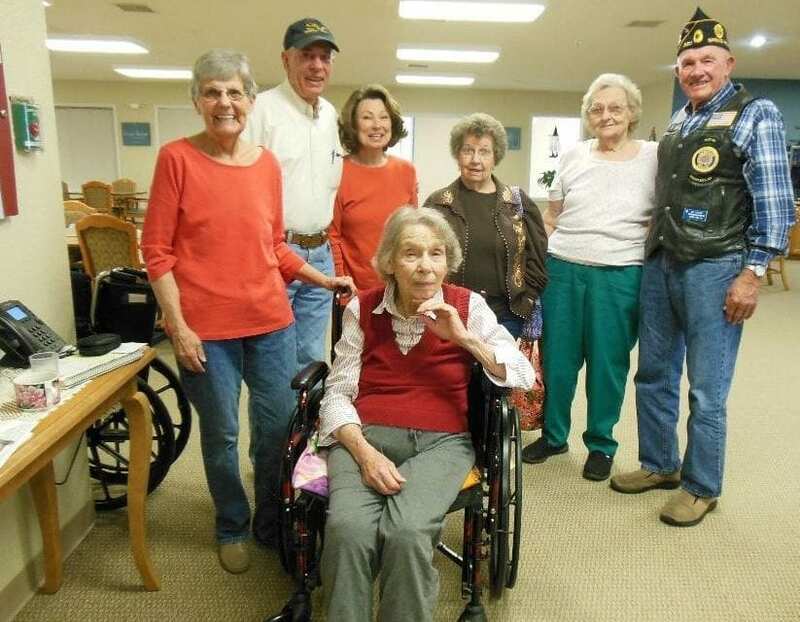 American Legion and Auxiliary members and family surround Loveta Medlin of Cole-Smith Unit 350 Ladies Auxiliary, Spring Hill, as she received her 60 membership pin. Medlin joined the Cole-Smith Auxiliary in 1958. The Auxiliary works to support veterans and their families. Medlin has served the community in many capacities.